Pain relief for arthritis is possible through medication. But nothing will completely solve the problem because we can’t repair or replace damaged cartilage. Yet. That doesn’t mean, though, that you have to live with excessive pain–a reality I hope you’ll see as I detail some of the different pain medication options available to people with osteoarthritis. For those unfamiliar with osteoarthritis, it describes the damaging of joint cartilage, which impairs the normal, smooth gliding of joint surfaces. That impairment results in pain and stiffness. As I mentioned before, we currently do not have any medications or supplements that can repair or replace damaged cartilage, so weight loss and exercise are typically the cornerstones of pain management, and that’s good. If your physician says you are healthy enough to exercise, you should. It will dramatically help you in dealing with osteoarthritis. 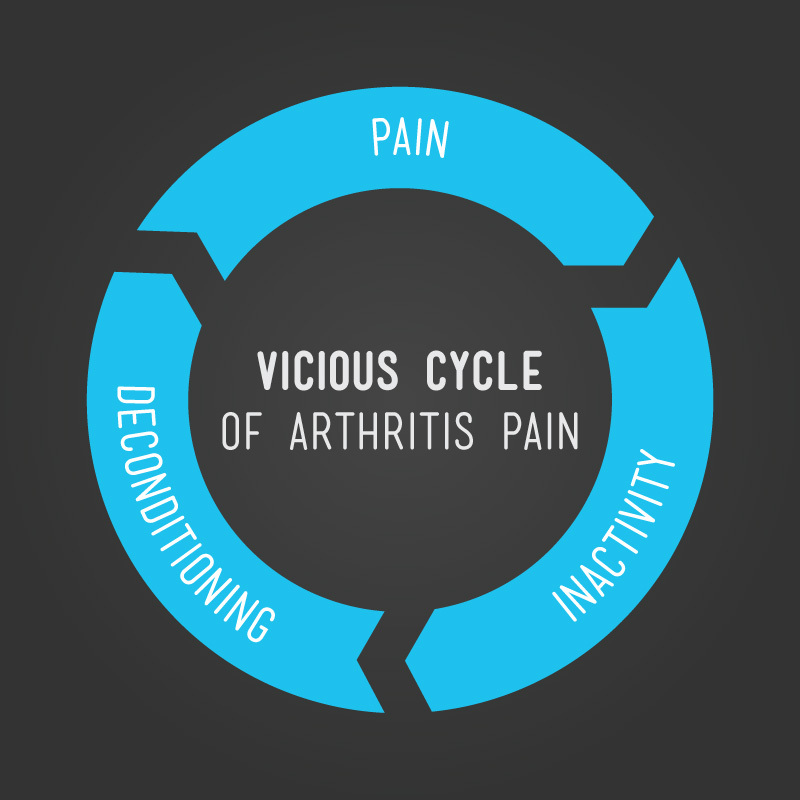 But we all know that people deal with pain even if they do exercise, which is why I’m detailing several medications that can reduce the pain associated with osteoarthritis. And why do we care about that (rhetorical question)? Because decreasing pain improves your quality of life, your function, and your activity level. Management of arthritis pain may involve the use of more than one medication. Initially, the mildest agents should be tried. If needed, your physician will modify your treatment using more potent medications. This is an excellent starting point due to a very low risk of side effects. Proper dosing is the key–too low a dose may be ineffective for joint pain, which is a waste of time and would certainly cause frustration on your part! The suggested dosage for adults is 1000 mg, up to 3 times a day as needed. There is a risk of liver damage when acetaminophen is taken in excessive doses of over 3250 mg per day. Unlike the NSAID’s, ulcers and kidney problems are not seen commonly, which is certainly beneficial. I would point out that while acetaminophen is not always potent enough for arthritis pain, it is worth trying- either on its own, or in combination with other medications as an initial assessment of your pain management needs. Nonsteroidal anti-inflammatory medications reduce both pain and inflammation in joints. The original NSAID was aspirin, but since then many NSAIDs have been developed that are better tolerated than aspirin. Most NSAIDs are available only with a prescription, but ibuprofen and naproxen are also available without a prescription (Advil, Aleve and their generics). NSAIDs do have negative side effects, though. The most common of these is irritation of the intestinal tract, occasionally leading to ulcers or bleeding. Fortunately, intestinal irritation can often be treated or prevented with the use of acid blocking medications (proton pump inhibitors, including Prilosec and others). Other risks include loss of kidney function and high blood pressure–especially in people who already have high blood pressure or kidney disease. Some NSAIDs appear to increase the risk of cardiac problems, but experts do not agree on which agents increase cardiac risk and to what degree. Two NSAIDs–Vioxx and Bextra–have been taken off the market due to studies showing increased cardiac events. Gels, lotions, and creams applied directly to the painful area can reduce pain, and side effects are uncommon. Some products, however, may cause skin irritation, so be prepared to change products and to consult with your physician if you do experience issues. These ingredients work as “counter irritants” that distract your nervous system from pain signals generated in the joints. In addition, regular use of Capsaicin has been shown to lower levels of substance P in nerves, which reduces intensity of pain signals. Topical NSAIDs may provide pain relief without the risks of oral NSAIDs. The NSAID diclofenac is available as a prescription in either topical gel (Voltaren Gel®), lotion (Pennsaid Lotion®), or patch (Flector Patch®). Other NSAIDs are available topically only as custom-made preparations from compounding pharmacists. Topical lidocaine patches (Lidoderm Patch®) are now approved for use in pain caused by shingles, but occasionally are used for back pain and other types of arthritis pain. Unfortunately, cost can be an obstacle because this agent is not approved for arthritis, which means prescription drug coverage often will not cover its use for arthritis patients. A variety of other medications are used topically, with the recent availability of custom-made Lipoderm Cream from a compounding pharmacist. Lipoderm can incorporate one or several different medications- NSAIDs, nerve blocking agents, muscle relaxers, and other ingredients are often combined to address multiple potential causes of pain. In part 2, I’ll look at some of the more potent pain medications available. If you have questions, please ask in the comments, or call 815-398-9491.